From apps that make wrinkles disappear with one swipe, to extreme surgery procedures which promise to make you look 20 years younger, the pressure on women (and men!) to delay, or even reverse the ageing process these days is immense. 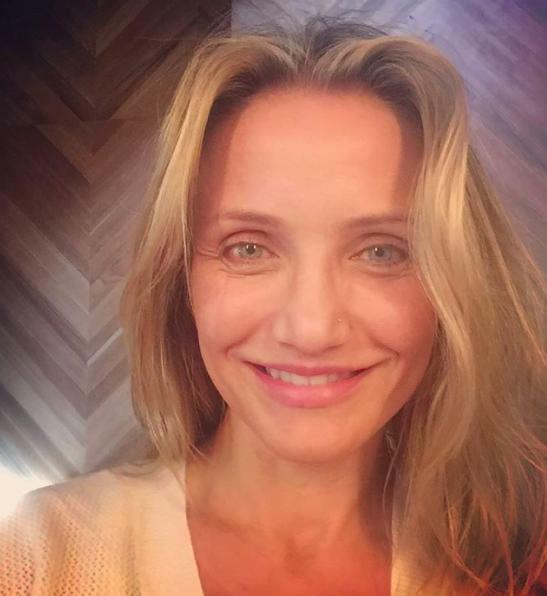 Which is why Cameron Diaz latest selfie is such a refreshing anti-ageing antidote. The Bad Teacher actress took to Instagram this morning to share a picture of herself sans slap. And we’re not just talking cutting down the cover-up, the 43-year-old literally posed completely bare faced. No touch ups, no filters, no foundation. Nada. And boy does she look good. 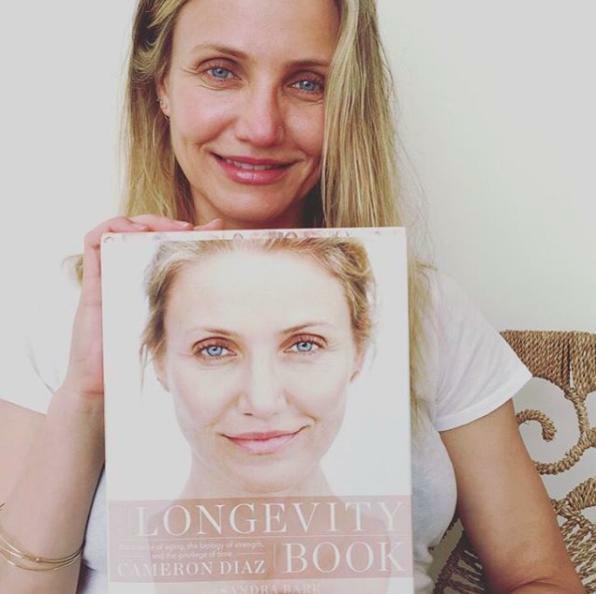 Posting the selfie to celebrate the launch of her new book about ageing, The Longevity Book: The Science of Ageing, the Biology of Strength and the Privilege of Time, Cameron talks about how she’s embracing getting older rather than fighting it. The book offers food, stress, and well-being tips to live a longer, happier life and examines how women can optimise their health from their late thirties to mid-life. Cameron isn’t the only celebrity who has spoken out about ‘real’ or at least ‘more real’ beauty of late. Last week Adele opened up about the beard she grew when she was pregnant, that she named ‘Larry’. And model Jourdan Dunn has recently revealed she doesn’t do filters, preferring to go au natural with her selfies. Don’t get us wrong, we love a good red carpet make-up look to dribble over, but seeing a picture of a celebrity looking pretty, well, normal is way more inspiring. So we’re totally up for more of this real girl beauty and less of the ultra-perfect, ultra-shopped, ultra-filtered selfies social media is awash with. High five Cam!